The mayor of South El Monte plead guilty Thursday to taking bribes amounting to $45,000 from a contractor doing business with the city, as well as accepting a bribe during an FBI undercover operation. Luis Aguinaga, 48, agreed to plead guilty to one count of bribery. 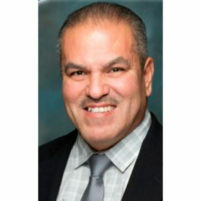 Aguinaga admitted that, from 2005 to September 2012, he took bribes from a contractor doing work for the City of South El Monte and the payments were rewards in connection with the approval of city contracts for the contractor. The contractor – identified in the court documents as a confidential witness –paid Aguinaga envelopes filled with cash approximately every two to three weeks, shortly after the contractor was paid by the City of South El Monte, according to the plea agreement. If the contractor failed to pay Aguinaga within a few days of being paid by the City, Aguinaga would call and ask for his payment. The bribe amounts were initially $500, and later they increased to $1,000. According to the plea agreement, the contractor made the bribe payments by placing cash in envelopes that were left in a bathroom at the South El Monte City Hall or were left inside the passenger side pocket of a car. The charge of bribery carries a statutory maximum sentence of 10 years in federal prison. Aguinaga is scheduled to appear for an arraignment in United States District Court in Los Angeles on Aug. 10. This case was investigated by the Federal Bureau of Investigation and is being prosecuted by Assistant United States Attorney Ruth C. Pinkel of the Public Corruption and Civil Rights Section. Somebody named “Hill” thinks he’s above the law and got it all figured out…..getting cash for doing “favors”….I hope the FBI is on this case, although, if they are, he might try to bribe them too. They are coming, Adam Hill. That is funny! Excellent and to the point. Cultural diversity and California governance…anyone see a problem? They should come and investigate Adam Hill and his amigos… Now, that would be news! The guy used a crude form of bribery. Politicians usually arrange something more nuanced like political donations or jobs for their spouse or children; stuff that can’t be proven to be a bribe. Do you mean something like a $50,000 “donation” to the wife of a politician for a “non-profit” organization? You can figure the puzzle out.